Only two species of eagles inhabit North America, golden eagles and bald eagles. Golden eagles are limited mainly to the western half of the continent, whereas bald eagles are scattered throughout, including Michigan. 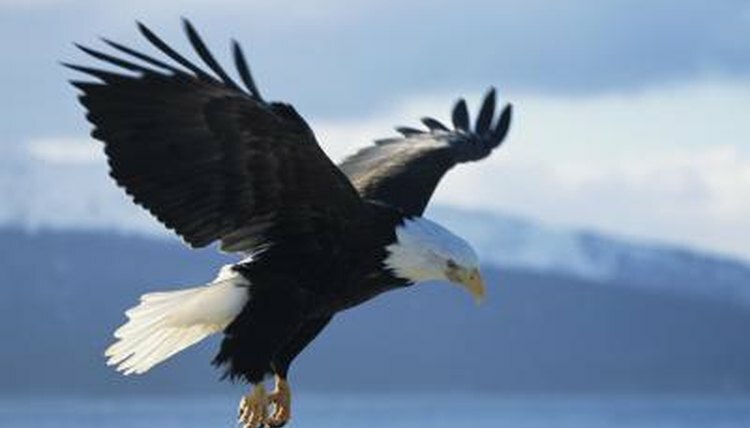 Chosen as the national symbol for the United States, bald eagles stand for strength, courage and freedom. Free enterprise nearly pushed them to extinction. According to Michigan’s Department of Natural Resources, by early 1900s bald eagles were "nowhere abundant" within the state. Throughout North America, the eagle population was declining due to European settlement. Their habitat loss was slow but consistent, and, since eagles feed on fish and small mammals, humans considered them competition for food. During the 1950s, their decline accelerated due to the increased use of pesticides such as DDT. By 1959 they were on the brink of extinction throughout the United States. In Michigan, they were restricted to the northern half of the state. In order for their population to remain stable, bald eagles need a successful reproduction rate of approximately 70 percent. In 1967, less than 40 percent of Michigan’s eagles were able to raise a single chick. In December 1973, the Endangered Species Act was signed. Michigan added the bald eagle to its endangered list in 1974, and successful reproduction began to improve within the state. Throughout the United States, conservation has shown signs of success. In 2007, the U.S. Fish and Wildlife Service removed them from the ESA list. A favorite food of bald eagles is fish, so they like lakes -- especially very big ones. Michigan has more than 11,000 inland lakes and approximately 3,000 miles of shoreline along the Great Lakes. Bald eagles also like lakes with surrounding forests. Michigan’s hilly and rugged Upper Peninsula provides habitat for making nests. Pairs typically mate for life and keep a single nest for years. They like to build in the tallest trees, such as white pine. Their nests have reached sizes up to 10 feet in depth and 20 feet across as they add to them each year. Bald eagles are large and powerful birds; they stand an average of 2 feet in height with wingspans of about 6 feet. Their size gives them the advantage of being lazy hunters; if given the opportunity, they will steal food from other raptors in midair. Because of this, Benjamin Franklin disapproved of making the bald eagle a national symbol for the United States. He said it was a bird of bad moral character, since it didn’t make an honest living. He wanted the national symbol to be the turkey, because it was more respectable.